The primary difference is Universal has now opted to go with a more traditional ride system instead of the trackless one that the original ride concept had. In the press release, Universal confirmed that “guests zip along a track aboard ride vehicles through bustling New York City streets.” Despite this change, much of the storyline seems similar to the original, but instead of searching for one of the lost pets, guests will now be on their way to an adoption event. 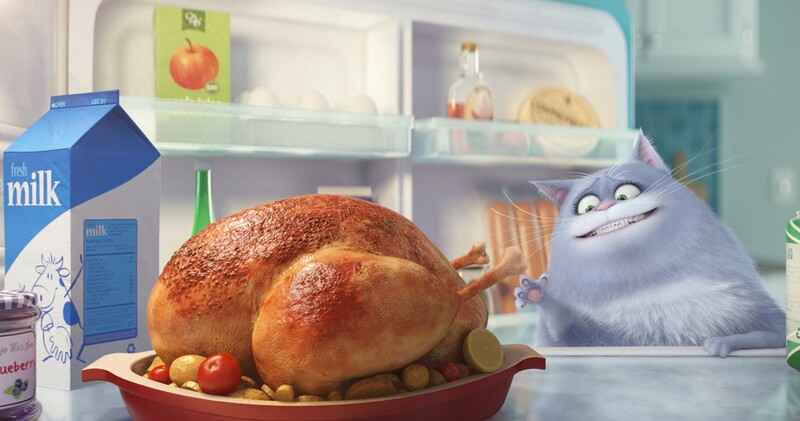 Another important difference is Universal also confirmed that the new Secret Life of Pets ride will “blend live, dimensional and animated characters with hyper-realistic media.” With the criticism of Universal parks leaning too heavily on screens for their attractions, Universal Creative has been rumored to be looking at new ways to tell stories, including embracing audio animatronics more. The Hollywood version of the attraction will open next year. The plan looks to be moving forward, even if this summer’s sequel to the original is a flop. That confidence is thanks in part to Universal already seeing success with the characters via a parade float and photo-ops. According to those familiar with internal data, even those who are unfamiliar with the movie franchise itself have positive interest in the characters.